We consider your privacy to be very important and we want to be sure you are aware of and agree to the way in which we might use personal information about you. This web site contains links to other sites. 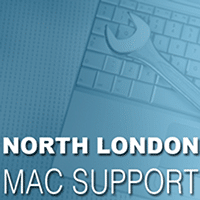 Please note that North London Mac Support is not responsible for the privacy policies or practices of external web sites. This privacy statement applies solely and specifically to information collected by this web site, www.northlondonmacsupport.co.uk. We do not send out bulk, unsolicited commercial email, often known as “spam”. The only email messages we send contain information that has been specifically requested or information that is customer specific. If you believe you have received unsolicited email from us, please let us know. Call 08445 882 322 if you have any questions or require further information on privacy.